Now you see exactly where your chips were born. The next time you buy a bag of Lay's potato chips, go online and find out exactly where they came from. 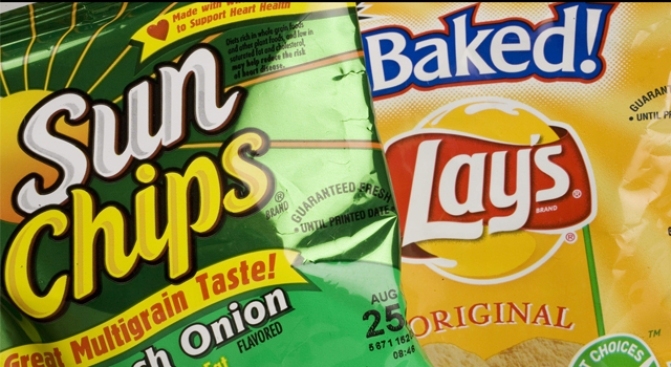 It's possible thanks to Frito-Lay's new "chip tracker." All you do is find the product code on the bag and go to www.lays.com. You enter the code and your ZIP code, and the Web site tells you where the potatoes were grown and where the chips were manufactured. It's all part of Frito-Lay's new "Home Grown" marketing campaign. The company has manufatcuring facilities in 18 states and potato farms in 27 states. "I think people feel good knowing that what they spend their hard-earned money on also contributes to a farmer in their state or folks that have great jobs in their state," said Frito-Lay executive Dave Skena.